Ah, the three-piece, the trio…the holy trinity of guitar, bass and drums. Tonight promised three-pieces cubed, which explains my excitement. Ut, for those old enough to remember, were three women who emerged from the late 70s/80s ‘no wave’ scene made famous by other New York anti-rock pioneers such as Sonic Youth and Teenage Jesus and the Jerks. Taking the Velvet Underground’s experimentation to noisy, splintered heights, no wave was unapologetically difficult and more abstract – as well as thrilling and visceral. Trash Kit were the surprise of the night. A wonderful off-kilter hybrid – imagine The Slits, Selecter and Huggy Bear all at once – the Kit have an infectious delight of their raw yet melodic togetherness. 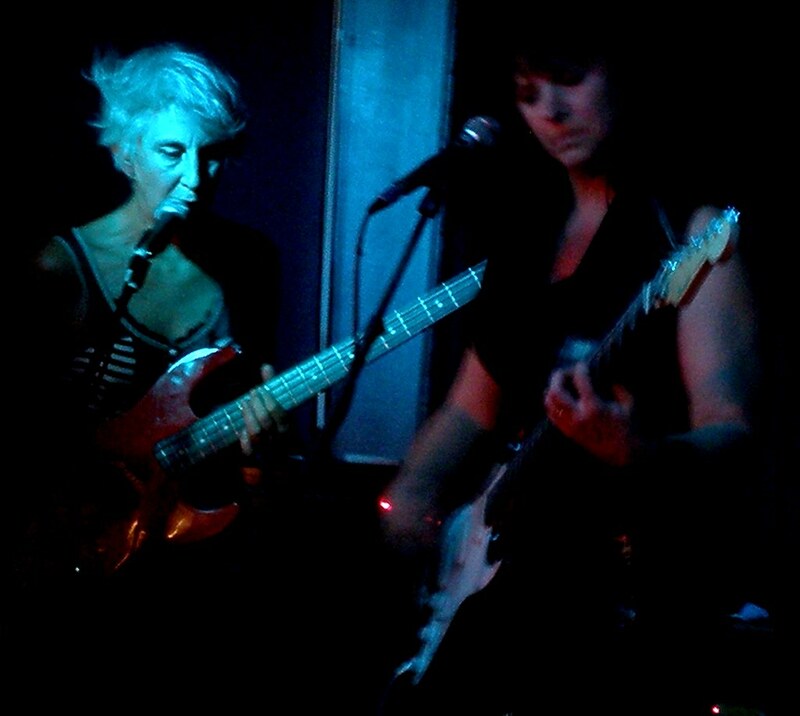 Led by a ‘punk of colour with weird hair’, the three women play short (very short – often seconds, not minutes) and sweet (a ‘song about the lesbian and gay section of Lewisham library’) songs. Definitely a band to see again. The Sticks provided the gender balance – three men from Brighton who took it in turns to play bass, guitar and stand up drums. They have almost a nursery rhyme approach to their brand of surf/garage with simplicity the key. More together than when I last saw them supporting Mark E Smith (which is either the result of his influence that night – or evidence of improving ability), The Sticks have hit the sweet spot between skill and thrill.